Gardening is an incredible mix of joy and frustration – joy when the plants you read about and ordered live up to your expectations, frustration when they don’t survive longer than the first year. Then you question yourself. What could you have done differently? More or less sun or shade? More or less water? Different soil? Better drainage? Nothing? I tend to try a plant more than once if I really want it but the third time it dies, I admit that I will have to find something else to put in that spot. I have kept a garden journal for years so that I can record my successes and my failures. 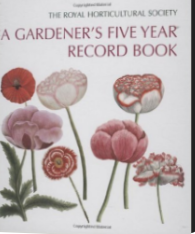 My journal of choice is the Royal Horticulture Society’s A Gardener’s Five Year Record Book, available from Amazon. It’s a bit pricey but worth it to me. 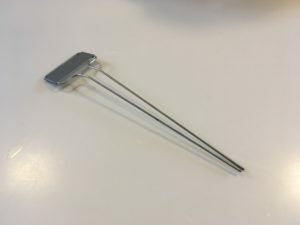 I use it to keep track of the weather in comparable years, both temperatures and precipitation, since it is arranged not only by month but also by week. I have learned, for instance, that global warming is not a figment of the imagination. I can track how much earlier specific plants are continuing into bloom. For instance, Leucojum aestivum (Summer Snowflake) is a hardy bulb that used to start blooming at the beginning of May; now it starts blooming in early April. 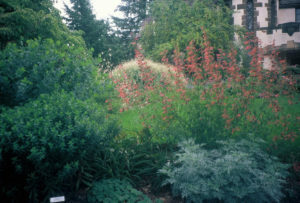 It never occurred to me when I started gardening, basically before computers, that I could create a database of plants in my landscape. Like a good gardener, I kept a file of plant purchases. Thank goodness because I have been able to use those files to create a database going back to 1994 that shows me the name of the plant, where I purchased it, in which year, where I planted it, and comments about cause of death, longevity, color of bloom, unexpected aspects, etc. I sometimes amaze myself when I consult the database only to find that I have previously grown a particular plant. When we read catalogs, bloom time is usually somewhat fuzzy but between my journal and the database, I can usually pin down the bloom time fairly well. The other thing that helps is my photo library. I caption all of my photos with plant names, location, and date. With Photoshop, I can use the FIND function, entering the plant name and all photos with that plant will then appear and I can compare dates. 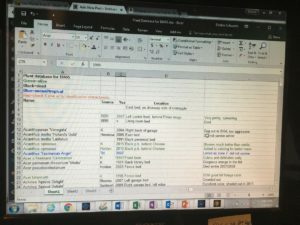 I mentioned earlier that I record plant location in my database. Let’s just say that sometimes I have forgotten where a plant is and, sadly, I didn’t even give it a marker (my database says that I’ve planted over 3000 kinds since 1994 plus memory is not what it used to be). 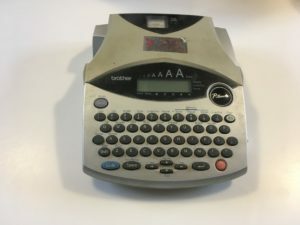 Years ago, I purchased a Brother labeling machine (like a small typewriter) in order to print out virtually indestructible plasticized labels that I attach to zinc markers. I have learned the hard way not to plant unless I have already created the label and put the marker in the pot. The zinc markers are available from several different sources in varying heights and widths. How do you keep track of your gardening efforts? What will you plant this year?